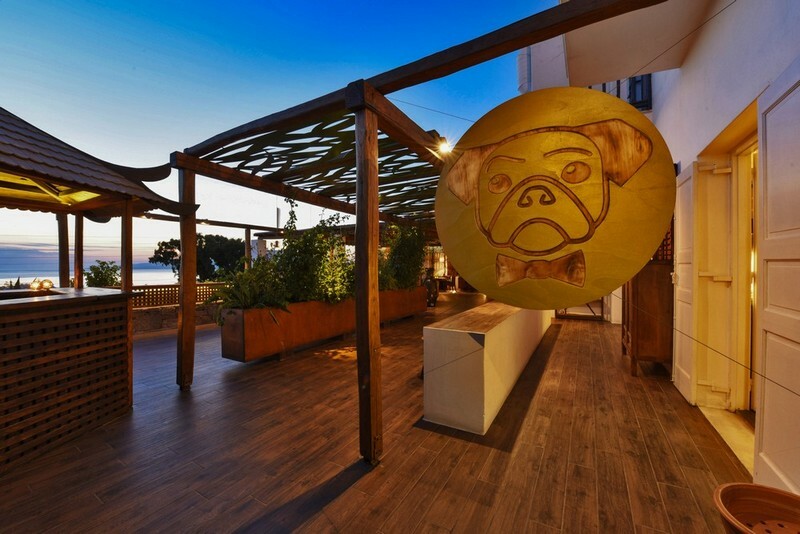 In Mr. Pug, Mykonos has gained a unique Asian fusion restaurant with a stylish and exotic décor and an enchanting view of the sun setting over the Aegean Sea. 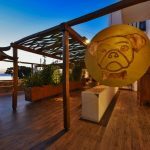 In Mr. Pug, Mykonos has gained a unique Asian fusion restaurant with a stylish and exotic décor and an enchanting view of the sun setting over the Aegean Sea. 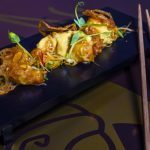 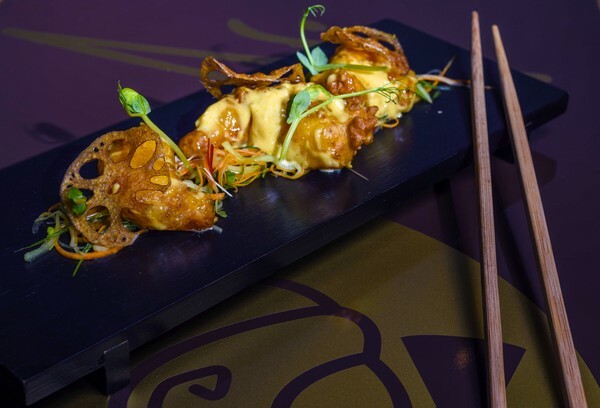 The restaurant is award-winning chef George Venieris’ new venture with a multifaceted and accessible fine dining menu combining alternative versions of classical asian dishes with unexpected fusion ideas influenced by Greek natural ingredients. 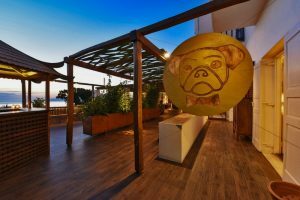 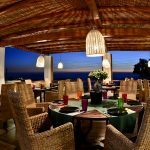 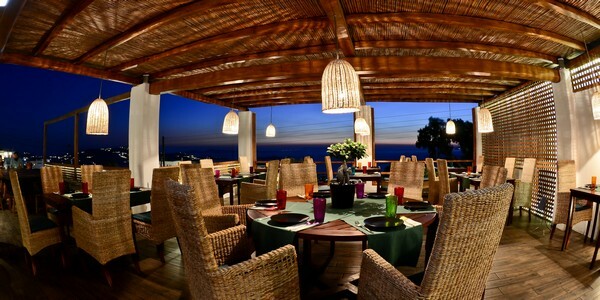 Its prime location, right above Mykonos town and its peaceful atmosphere have gained the approval of the demanding Greek and foreign crowd, while its elegant tastes and exciting flavours have not disappointed any taste palette. 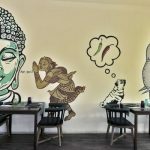 At ‘Mr. 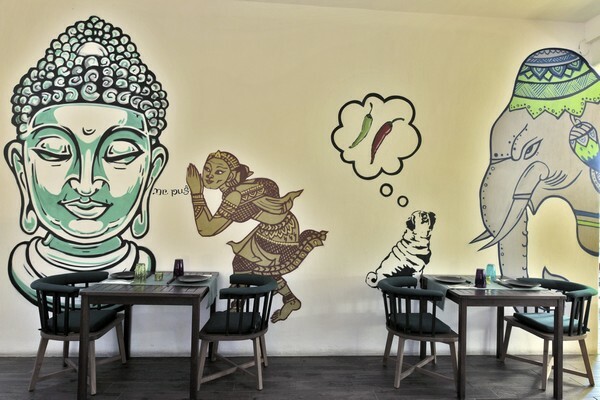 Pug’ you will rediscover the rich character of Fusion Asiatique cuisine through the eyes of a bold chef who has reinvented Asian cuisine with an Aegean flavor and background.